April 2 - June 4, 2011 73th Compton Lectures: Nahee Park, "99 years of discovery: What is our current picture of cosmic rays?" April 6, 2011 Panel Discussion: "Understanding the Tenure Process"
April 11, 2011 Martin Rees, Astronomer Royal, "From Big Bang to Biospheres"
April 18, 2011 Cafe Scientifique: Dan Hooper, "Our Dark Cosmos"
May 5, 2011 Physics Colloquium: Frans Pretorius (Princeton University), "Black Holes: Probes of the Cosmos and Fundamental Physics"
May 31, 2011 Dan Jaffe, "Working at the Diffraction Limit for a 25-m Aperture: A High- Resolution Infrared Spectrograph for the GMT"
June 9, 2011 Josh Frieman, "The Dark Universe"
June 20, 2011 Cafe Scientifique: Chris Lintott, "Why we need you to save science"
August 3, 2011 Dan Fabricant, CfA, "NIRMOS: Wide Field Near-IR Imaging and Spectroscopy for GMT"
August 5, 2011 Darren DePoy, Texas A&M University, "A wide-field, multi-object, moderate-resolution optical spectrograph for the Giant Magellan Telescope"
August 11, 2011 Andrew Szentgyorgyi, CfA, "G-CLEF: A Versatile, Optical Echelle Spectrograph for the GMT"
October 1 - December 10, 2011 74th Compton Lectures: Mark Wyman, "Before the beginning to after the end"
October 7, 2011 Geophysical Sciences seminar: Larry Nittler, Carnegie Institution, "Hermeochemistry: the elemental composition of Mercury revealed by MESSENGER"
October 14, 2011 Geophysical Sciences seminar: Kevin McKeegan, UCLA, "The oxygen isotopic composition of the Sun: implications for nebula chemistry"
October 20, 2011 GLPA Conference: Randall H. Landsberg, Tom Plagge, Mark SubbaRao, Fredrick W. High, "The Hunt for Dark Energy"
October 23, 2011 Chicago Humanities Festival: Rocky Kolb, "Telescopes: The Long Lens of History"
October 31, 2011 John Mather, NASA, "James Webb Space Telescope: Science Opportunities and Mission Progress"
November 1, 2011 Robert Kirshner, Harvard-Smithsonian CfA, "Energy and the Accelerating Universe: Einstein's Blunder Undone"
November 1, 2011 2011-2012 Brinson Lecture: John Mather, Nobel laureate, "History of the universe in a nutshell: from the Big Bang to life and the end of time"
November 7, 2011 EFI Colloquium: Andrey Kravtsov, "The chemistry of galaxy formation"
November 21, 2011 Cafe Scientifique: Liz Moyer, "A Reality Check on Alternative Energy"
Dr. Michael Smutko from Adler Planetarium and Northwestern University will be here on January 25th at 11am in RI 480 to answer questions about his current job, past jobs in consulting, and views on the outlook for Astronomy jobs in academe and elsewhere. Please join us for this talk! Michael Smutko holds a joint appointment as Lecturer in Physics & Astronomy at Northwestern, and as Astronomer at the Adler Planetarium in Chicago. His PhD research at the University of Chicago centered on designing and constructing instruments for telescopes. At Northwestern, in addition to teaching, Smutko oversees all operations of the historic Dearborn Telescope. 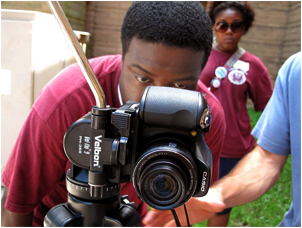 Combining coursework and public outreach, Dearborn hosts over 1000 people each year. He is also the Director of the Adler's Planetarium's Doane Observatory. Together, these observatories house two of the largest telescopes usable by the public in the Midwest. Broader Horizons is a talk series intended to educate members of the department, especially students and postdocs, on what career options lie outside of academia. To provide a broader view of the paths astronomers and astrophysicists take we bring speakers with astronomy and physics PhDs to speak about their careers. Eric Switzer, "Understanding the z~1 universe with 21 cm emission"
Akito Kusaka, "Systematic error in QUIET (good and bad examples)"
Keren Sharon, "Results from the largest cluster lens surveys: SDSS and RCS2 giant arcs surveys"
Mark Wyman, "Massive gravity modifications to gravitational lensing"
Tom Plagge, "High-resolution Sunayev-Zel'dovich Cluster Observations with CARMA"
Will High, "SPT has an optical guy!" 73th Compton Lectures: Nahee Park, "99 years of discovery: What is our current picture of cosmic rays?" We are living in a great era supplied with a continuous flow of new discoveries about the universe. There are several telescopes on the ground and in space providing beautiful pictures generated with the light coming from the stars, galaxies and different parts of the universe. However, light is not the only messenger. There are particles coming from the universe - from our galaxy and likely from outside of our galaxy. Since Victor Hess's discovery of these alien particles, which were later named "Cosmic Rays", 99 years have passed. There are many questions about Cosmic Rays: Where are these coming from? How and where do they gain their energy? Can our knowledge of the universe provide sufficient mechanisms to explain what we�ve measured on Earth? Since the discovery, there have been numerous experimental and theoretical efforts to answer these questions. Much significant progress has been made here in Chicago by lots of scientists, including Arthur Holly Compton, for whom the lecture series is named. Now, just one year short of the centennial of discovery, how are we doing withall these questions? During this season's Compton lecture series, we will talk about what kind of knowledge we can gain by looking at Cosmic Rays, and we will take a look at our current picture of Cosmic Rays. Also, we will find how the knowledge obtained from light and particles can complement our understanding of the universe. Panel Discussion: "Understanding the Tenure Process"
All faculty, post-doctoral researchers, and advanced graduate students in the Division of Physical Sciences are invited to a panel discussion on: "Understanding the Tenure Process". Former and Current Chairpersons will provide information and discussion to help current junior faculty prepare for the tenure process and to provide post-docs and graduate students with insight about this milestone in the academic career. 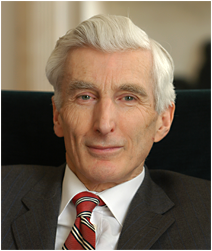 Martin Rees, Astronomer Royal, "From Big Bang to Biospheres"
Martin Rees is Master of Trinity College, Cambridge and holds the honorary title of Astronomer Royal. He was previously Director of the Institute of Astronomy at Cambridge, and has lectured widely in the US, Europe and the Far East. His research interests include cosmology, galaxy formation, black holes and 'high energy' phenomena in the universe As well as his research publications, he is the author of eight books, and numerous articles on scientific and general subjects. He is a foreign associate of the US National Academy of Sciences, the Russian Academy of Sciences, the Pontifical Academy, and several other foreign academies. He is a member of the UK's House of Lords, and recently completed a five-year term as President of the Royal Society (the UK's national science academy). 2010-2011 Brinson Lecture: "From Big Bang to Biospheres"
Astronomers have made astonishing progress in probing our cosmic environment, thanks to advanced technology. We can trace cosmic history back to some mysterious 'beginning' nearly 14 billion years ago, and understand in outline the emergence of atoms, galaxies, stars and planets -- and how, on at least one planet, life developed a complex biosphere of which we are part. But these advances pose new questions: What does the long-range future hold? How widespread is life in our cosmos? Should we be surprised that the physical laws permitted the emergence of complexity? and Is physical reality even more extensive than the domain that our telescopes can probe? This illustrated lecture will address (but not answer!) such questions. This event is made possible by a generous gift from the Brinson Foundation to the University of Chicago. Cafe Scientifique: Dan Hooper, "Our Dark Cosmos"
Everyone knows that there are things that no one can see -- the air you're breathing or a black hole, for example. But recently, cosmologists have come to realize that what we can see makes up only 5 percent of the mass and energy of our Universe. The rest is totally invisible to us. 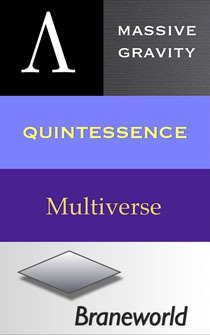 The invisible stuff comes in two varieties - dark matter and dark energy. One holds the Universe together while the other tears it apart. What these forces really are has been a mystery for as long as anyone has suspected they were there, but the latest discoveries of experimental physics have brought us closer to that knowledge. The Illinois Science Council is partnering with the Chicago Public Library and the "One Book, One Chicago" program to connect fantasy to physics. On Wednesday, April 20th, Lawrence Krauss will speak as a fantasy connector. Lawrence Krauss is an internationally known theoretical physicist whose studies include the early Universe, the nature of dark matter, general relativity and neutrino astrophysics. He is the director of the Origins Project at Arizona State University and author of Quantum Man: Richard Feynman's Life in Science and The Physics of Star Trek. Neil Gaiman is the author of Neverwhere (the spring "One Book, One Chicago" selection of the Chicago Public Library) that explores an unknown world below the streets of London. Dr. Krauss will use Neverwhere as a starting point for an entertaining lecture on how scientists are exploring the possibility of parallel universes. Lawrence M. Krauss is Foundation Professor in the School of Earth and Space Exploration and Physics Departments, Associate Director of the Beyond Center, Co-Director of the Cosmology Initiative and Director of the exciting new Origins Initiative at Arizona State University, which will explore questions ranging from the origin of the Universe to the origins of human culture and cognition. Krauss received his PhD from MIT in 1982 and then joined the Society of Fellows at Harvard University. The author of 8 popular books, Krauss is also a radio commentator and essayist for newspapers such as the New York Times, the LA Times, the Wall St. Journal, and has written a regular biweekly column for New Scientist, and now writes a monthly column for Scientific American. Most recently he led the call for a Presidential Debate on Science and Technology, is co-chair of the Board of Sponsors of the Bulletin of the Atomic Scientists, and on the Board of Directors of the Federation of American Scientists. Physics Colloquium: Frans Pretorius (Princeton University), "Black Holes: Probes of the Cosmos and Fundamental Physics"
The class of spacetimes with event horizons contain some of the most fascinating solutions to the equations of general relativity. Over the past few years, numerical simulations of the field equations have begun to reveal some of the more dynamical, strong-field solutions not amenable to exact analytical or perturbative treatments. In this talk, I will describe 3 such scenarios. First, the inspiral and merger of two black holes, which is thought to occur frequently in the universe. Such events are powerful emitters of gravitational waves, and a concerted world-wide effort is currently underway to observe the universe through gravitational waves. Second, I will discuss the ultra-relativistic collision of two solitons. Arguments suggest that at sufficiently high velocities gravity dominates the interaction, causing a black hole to form regardless of the internal structure or nature of any non-gravitational interaction. These arguments underly claims that the Large Hadron Collider will produce black holes in speculative large extra dimension scenarios. Finally, I will show results elucidating the fate of a black string in 5 dimensions, subject to the Gregory-Laflamme instability. Rather remarkably, the event horizon exhibits dynamics akin to a low viscosity fluid stream suffering the Raleigh-Plateau instability, where the horizon starts to form spherical "beads" connected by ever thinner string segments that are themselves unstable, and the instability unfolds in a self-similar cascade. This process reveals arbitrarily large spacetime curvatures to an external observer, culminating in naked singularities. This is therefore a generic example of cosmic censorship violation in higher dimensional Einstein gravity. Sixty years ago, Enrico Fermi planted a time capsule in the cornerstone of the Research Institutes building. Join fellow students and faculty during Alumni Weekend to see what he placed there. You will also get to learn about the building's former tenants - the Enrico Fermi Institute and James Franck Institute - and the work they have done to shape scientific history. Finally, you will learn about the Physical Science Division's next research facility, the William Eckhardt Research Center. This new addition will help carry the work of the division far into the future. Please join us as we unveil a piece of history left by Enrico Fermi and take a brief glimpse at the scientific milestones achieved at the University of Chicago. Josh Frieman, "The Dark Universe"
Over the last decade, cosmologists have made remarkable discoveries about our Universe: only 4% of the Universe is made of ordinary matter --- atoms, molecules, etc. The other 96% is dark, in a form totally unlike anything with which we are familiar. Dark Matter, which makes up about a quarter of the Universe, holds galaxies together and is the key ingredient in their formation. The remaining three quarters of the Universe is composed of Dark Energy, a mysterious substance that is causing the expansion of the Universe to speed up. This presentation will introduce the Dark Universe, overview what we've learned about it, describe new experiments and observatories that will aim to solve these enigmas, and will include a virtual full-dome tour of the large- scale Universe revealed by recent cosmic sky surveys. Josh Frieman is a senior staff scientist at the Fermilab Center for Particle Astrophysics and Professor of Astronomy and Astrophysics and member of the Kavli Institute for Cosmological Physics at the University of Chicago. He currently directs the Dark Energy Survey, a collaboration of over 120 scientists from 20 institutions on 3 continents, which is building a 570 Megapixel camera for a telescope in Chile to probe the origin of cosmic acceleration. The KICP and Astronomy postdocs will hold a postdocs symposium, during which some of them will present their current research. Everybody is invited, so please come for as much or as little of the symposium as you like! Luis Reyes, "The turn-on of a gamma-ray blazar"
Surhud More, "Friends-of-friends algorithm: a percolation theory perspective"
Benjamin Rouille d'Orfeuil, "EeV Neutron Astronomy"
Stephen Hoover, "When a Continent Is Your Detector: Cosmic rays in Antarctica"
Cafe Scientifique: Chris Lintott, "Why we need you to save science"
Scientists have become too good at their jobs. For much of the last 400 years, our ability to understand the Universe has been limited by the data we could obtain about it, but now in many fields we're limited by the use we can make of that data. One of the most innovative responses to this deluge of data is to throw open the doors and invite everyone to make a real contribution to science. 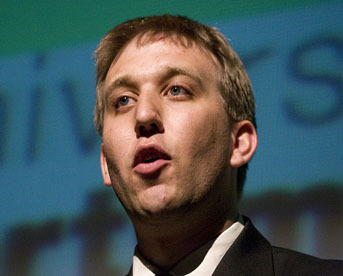 Astronomer Chris Lintott, founder of zooniverse.org, the largest and most successful set of projects to do just that, will explain how you could rescue climate data, read ancient papyri, surf through the Milky Way or even discover your own planet. Dan Fabricant, CfA, "NIRMOS: Wide Field Near-IR Imaging and Spectroscopy for GMT"
Understanding how galaxies formed a few hundreds of millions of years after the big bang and how these galaxies grew to contain hundreds of billions of stars is a major motivation for developing extremely large telescopes like the Giant Magellan Telescope (GMT). Progress in understanding the history of galaxy evolution will require efficient large infrared spectroscopic surveys. NIRMOS, with a field of view up to 40 square arcminutes enabled by GMT's fast optics and great sensitivity enabled by the superb seeing of GMT's Las Campanas site has the potential to lead in this research. NIRMOS is a powerful general purpose near-infrared spectrograph (0.9 to 2.5 micron spectral coverage) that will enable break-through discoveries in a broad range of astrophysics from exoplanet atmospheres to the first stars. Darren DePoy, Texas A&M University, "A wide-field, multi-object, moderate-resolution optical spectrograph for the Giant Magellan Telescope"
The Giant Magellan Telescope will have several unique capabilities relative to other Extremely Large Telescopes. One of these will be an exceptionally large field-of-view: nearly 20 arcminutes in diameter. I will describe an optical spectrograph that can make use of this large field for multi-slit observations. The science case for such an instrument is extensive; a few cases will be presented that represent the potential of the instrument. Some details of the instrument design will be presented, but, as the instrument is still in the conceptual design phase, the hope is to stimulate discussion and comment that can influence the final choices for the instrument's capabilities. This year's Yerkes Summer Institute will focus on detectors and the role these devices have played in enhancing humanity's ability to understand the universe. Taking traditional photography, high-speed and time-lapse photography, and active IR/sonic imaging as examples, students will spend a week exploring how these technologies have extended human memory, opened the time domain, and illuminated the world at beyond-visual-range. Over the course of the institute, students will build their own detectors and learn to interpret their detections, gaining a hands-on understanding of how they work and coming to grips with fundamental questions regarding the relationship between inputs and outputs and the role of noise. Andrew Szentgyorgyi, CfA, "G-CLEF: A Versatile, Optical Echelle Spectrograph for the GMT"
G-CLEF is a broad-band (3500�-9500�) fiber fed, optical echelle spectrograph that is in concept design study phase for first light at the Giant Magellan Telescope (GMT). A key scientific mission for G-CLEF is the discovery of exoearths and characterization of exoplanetary systems like the Solar System. However, G-CLEF has been designed to be a powerful engine for discovery across a broad swath of stellar astrophysics and cosmology. In addition to exoplanet science, I will discuss applications to near-field and high-Z cosmology. The most demanding application for G-CLEF, the measurement of 10 cm/sec reflex motion of a solar-type star in response to the gravitational influence of an Earth-mass planet in a 1 AU orbit, requires technology that is slightly beyond the current state of the art. I will discuss a roadmap to the required technology, especially progress with laser frequency combs. The program will cover the latest theoretical and experimental developments related to supersymmetry and other physics Beyond the Standard Model. The latest Tevatron and LHC results will be presented and discussed, fresh from Lepton-Photon the previous week. Wednesday, August 31, of SUSY11 (including the Conference Dinner) will be held at the University of Chicago, and is co-supported by the Kavli Institute for Cosmological Physics. Bus transportation will be provided and no separate registration is needed as this day is part of SUSY11. A separate informal pre-SUSY meeting will be held at the University of Chicago Wednesday, Aug 24 though Friday, Aug 26. The chair of the pre-SUSY organizers is Carlos Wagner. On the afternoon of Thursday, September 1, the LHC Physics Center at Fermilab will provide a special event, giving theorists an inside look at LHC physics. We have reserved rooms at the Pheasant Run Resort in St. Charles at very favorable rates. A tiered selection of rooms will be available, including family rooms and the possibility to share rooms. Free wireless will be available in all rooms. There is a good selection of restaurants in the resort complex and within walking distance. Bus transportation will be provided to Fermilab, and the resort offers shuttle service in the local area, including the METRA station connecting to Chicago. The conference dinner will be held the evening of Wednesday August 31 at the Adler Planetarium on the lakefront in Chicago. As per DOE regulations, there will be a separate (optional) charge for the dinner. 74th Compton Lectures: Mark Wyman, "Before the beginning to after the end"
We will hear the tale of the Cosmos, beginning with the epoch before the Big Bang and concluding with extrapolations into the far future. We will begin with the first fourteen billion years of cosmological history, explaining how theorists and observers have worked together to establish a consensus model for cosmology. We can now account for most of what we see in the cosmos with just six numbers. But, cosmology is not yet finished: our inability to connect this model to fundamental physics is leading us into crisis. In the second half of the series, we'll learn about these crises of contemporary cosmology -- and hear some speculations about how they might be resolved. History will look back on these years as the golden age of cosmology. Cosmological observations have never been better. Theory has rarely been more confused. Dr. Wyman will provide a glimpse into the minds of today's cosmologists: towards what they are bending their thoughts and what kinds of radical breakthroughs they hope to discover. Geophysical Sciences seminar: Kevin McKeegan, UCLA, "The oxygen isotopic composition of the Sun: implications for nebula chemistry"
We have measured the oxygen isotopic composition of the solar wind, captured and returned to Earth by NASA's Genesis mission. The data demonstrate that the Earth, Moon, Mars, and bulk meteorites are depleted in 16O by ~7% relative to the bulk solar system in a non- mass-dependent manner. Gas phase photochemistry, occurring either in the solar nebula or in its progenitor molecular cloud, is most likely responsible for changing the isotopic composition of planetary materials in the inner solar system prior to planetesimal accretion. Understanding how, when, and where the rocky planets acquired an isotopic composition distinct from the average composition of the dust and gas from which the solar system formed is a major challenge for the science of planetary origins. GLPA Conference: Randall H. Landsberg, Tom Plagge, Mark SubbaRao, Fredrick W. High, "The Hunt for Dark Energy"
Dark Energy dominating the composition of the Universe (72%) has become an accepted story. However, no one knows what this strange stuff is, as it is really different then anything that we are familiar with. Join us for an insider's view of on going experiments that seek to characterize Dark Energy. Learn the gritty and amazing details of a multipronged approach to get a handle on this weird stuff and take away visuals, stories, and science that you can use back at your home institution. Chicago Humanities Festival: Rocky Kolb, "Telescopes: The Long Lens of History"
For over 400 years, the telescope has been an indispensible tool of scientific discovery, wielded by amateurs and luminaries alike in their eager explorations of the heavens. The telescope revealed the existence of our solar system's outer planets and brought us crisp images of approaching comets. It also radically changed our understanding of the universe and its boundaries. As telescopes have increased in size and power, astronomers have answered old questions and raised new ones about dark matter, distant planets, and the existence of other life forms. Rocky Kolb, chair of the University of Chicago's Department of Astronomy and Astrophysics, uses the history of the telescope to take us on a journey through time, the cosmos, and human discovery. John Mather, NASA, "James Webb Space Telescope: Science Opportunities and Mission Progress"
The James Webb Space Telescope, the planned successor for the Hubble Space Telescope and the Spitzer Space Telescope, is making excellent technical progress. It will carry four instruments to cover the wavelength range from 0.6 to 28 μm with imaging, spectroscopy, and coronography, and will have a deployable 6.5 m aperture telescope cooled to about 40 K. It will be launched by an Ariane 5 vehicle from French Guiana to reach an orbit around the Sun-Earth Lagrange point L2. Two of the flight instruments are completed and in test, all 18 of the beryllium primary mirror segments have been polished warm, and 5 of them have been coated with IR-reflecting gold. I will describe the scientific programs that future users are likely to propose, ranging from the first objects to form after the big bang, to the assembly of galaxies, the formation of stars, and the potential detection of planetary systems capable of supporting life. I will also outline the remaining work for the project, including testing the telescope and instrument package end-to-end at the gigantic vacuum chamber at Johnson Space Center, and developing and testing the deployable sunshield. Robert Kirshner, Harvard-Smithsonian CfA, "Energy and the Accelerating Universe: Einstein's Blunder Undone"
Exploding stars halfway across the universe reveal an extraordinary fact: the expansion of the universe is speeding up. We attribute this to a dark energy that acts to make the universe spring apart. The resulting picture is a truly strange one: most of the universe is in the form of dark matter we cannot see and dark energy we do not yet understand. Only 4% of the mass-energy of the universe is in the form of atoms that can make stars, galaxies, planets, and people. This talk will show how we know the universe is accelerating and sketch how today's idea of dark energy resembles Einstein's cosmological constant, an idea he invented in 1916 and discarded in 1931. Robert Kirshner is Clowes Professor of Science at Harvard University. A 1970 graduate of Harvard College, Kirshner received his Ph. D. from Caltech and recently received an honorary Doctor of Science degree from the University of Chicago. His work with the High-Z Supernova team helped uncover the fact that the expansion of the universe is speeding up. Kirshner shared in the 2007 Gruber Prize in Cosmology for that work. Kirshner won the 2011 Heineman Prize for "his sustained and enduring contributions to our understanding of supernovae and cosmology." A frequent public lecturer on astronomy, he teaches a large undergraduate course at Harvard called "The Energetic Universe" and is the author of popular-level book The Extravagant Universe: exploding stars, dark energy, and the accelerating cosmos. For the article by Science in Society about this research, please see "Our Rapidly Expanding Universe", an interview with Prof. Kirshner by Beth Herbert. 2011-2012 Brinson Lecture: John Mather, Nobel laureate, "History of the universe in a nutshell: from the Big Bang to life and the end of time"
John C. Mather is an astrophysicist, cosmologist and Nobel laureate. 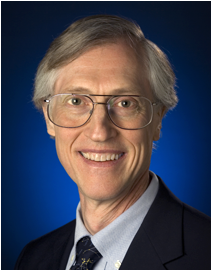 He was awarded the 2006 Nobel Prize in Physics for his work on the Cosmic Background Explorer Satellite (COBE). Mather received his Nobel Prize for the precise determination that the spectrum of the cosmic microwave background radiation is that of a thermal source and the first detection and measurement of the anisotropy. These measurements marked the beginning of the era of precision cosmology. Mather is currently a Senior Astrophysicist at the U.S. space agency's (NASA) Goddard Space Flight Center in Maryland and the Senior Project Scientist for the James Webb Space Telescope, the successor to the Hubble Space Telescope. 2011-2012 Brinson Lecture: "History of the universe in a nutshell: from the Big Bang to life and the end of time"
The history of the universe in a nutshell, from the Big Bang to now, and on to the future - John Mather will tell the story of how we got here, how the Universe began with a Big Bang, how it could have produced an Earth where sentient beings can live, and how those beings are discovering their history. Mather was Project Scientist for NASA's Cosmic Background Explorer (COBE) satellite, which measured the spectrum (the color) of the heat radiation from the Big Bang, discovered hot and cold spots in that radiation, and hunted for the first objects that formed after the great explosion. He will explain Einstein's biggest mistake, how Edwin Hubble discovered the expansion of the universe, how the COBE mission was built, and how the COBE data support the Big Bang theory. He will also show NASA's plans for the next great telescope in space, the James Webb Space Telescope. It will look even farther back in time than the Hubble Space Telescope, and will peer inside the dusty cocoons where stars and planets are being born today. It is capable of examining Earth-like planets around other stars using the transit technique, and future missions may find signs of life. EFI Colloquium: Andrey Kravtsov, "The chemistry of galaxy formation"
I will discuss the current state of modeling galaxy formation in cosmological context of LCDM model and review both success and challenges of such modeling. Recent progress shows that we are quite close to understanding the main features of galaxy formation and origin of observed properties of galaxies, such morphology, baryon and dark matter connection, etc. I will argue that recent modeling results indicate that correct modeling of galaxy formation requires the right "chemistry" - a non-trivial mix of nonlinear processes - to be treated correctly. To this end, I will present a novel model of star formation based on non-equilibrium treatment of molecular hydrogen in self-consistent cosmological simulations of galaxy formation, including effects ofself-shielding and shielding by dust. The model predicts strong dependence of the global Kennicutt-Schmidt star formation relation on the metallicity of the interstellar medium of galaxies (and a weaker dependence on the interstellar UV field) and can explain recent results indicating inefficient star formation in high-redshift Damped Lyman alpha galaxies at z~3. General considerations and some preliminary simulation results indicate that low efficiency of star formation at high redshifts can have significant implications for galaxy formation and may help resolve many of the main problems and puzzles of galaxy formation within hierarchical CDM scenario. I will also present ongoing efforts to understand the mechanisms which can make stellar feedback efficient with globally inefficient star formation. "How did boxing champ, war-hero, and prodigy astronomer, Edwin Hubble gang up with a moon-shine peddling janitor and a Jesuit priest to defeat the champion of science, Albert Einstein? Come see the brainchild of Chicago and Evanston capture Hollywood hearts, expand our Universe, and figure out Creation's Birthday." Cafe Scientifique: Liz Moyer, "A Reality Check on Alternative Energy"
Our modern industrial lives were made possible only by fossil fuel use: already in the 1600's, factories in Europe were shutting down for lack of wood. Will it be possible in the future to support a bigger, richer population without fossil fuels (which will definitely run out someday)? Energy is a hot topic right now, but without an engineering degree, how do you make sense of which proposals are silly and which are feasible? It turns out that if you understand where we can divert energy from, and can balance a checkbook, you can understand which energy options have the promise of supporting humankind - wind, hydro, biofuel, solar. Learn how scientific integrity is key to policy making. Experts will share breaking news on climate legislation, threats to the Clean Air Act, and the controversial global warming emissions standards. Students, families, teachers and especially the curious are invited to attend our annual Holiday Lecture and Open House. See fast, loud, surprising and beautiful physics demos performed by Profs. Heinrich Jaeger and Sidney Nagel. Talk to scientists about their latest discoveries. Participate in hands-on activities related to their research. Doors for the Lectures open 30 minutes before each show. Admission to this event is free, but donations are welcome. Souvenirs/gifts available for purchase. In case of overflow, shows will be streamed to an alternate venue. The Broader Horizons talk series aims to educate members of the department, especially students and postdocs, on what career options lie outside of academia by bringing those with astronomy and physics PhDs to speak about their careers. Next week as part of this series, we'll be hosting Robert Lopez from the firm Getco LLC who will be speaking about his work as a quantitative trader. The KICP and Astronomy postdocs will hold a postdocs symposium. Everybody is invited, so please come for as much or as little of the symposium as you like! 2:15 - 2:40 Elise Jennings: "Testing LCDM using the large scale structure of the Universe"
2:40 - 3:05 Ali Vanderveld: "Testing the smooth dark energy paradigm with weak lensing"
3:05 - 3:30 Reina Reyes: "Disk galaxy masses: constraints on DM and stellar mass content from galaxy kinematics and weak lensing"
3:50 - 4:15 Oscar Agertz: "Stellar feedback in cosmological simulations"
4:15 - 4:40 Andrew McCann: "The First VHE Gamma-ray Pulsar"
Tom Crawford will give a special KICP Astronomy Conversation in honor of the Centennial of man's arrival at the South Pole Roald Amundsen and his team of 5 and 16 dogs reached the South Pole on December 14, 1911. 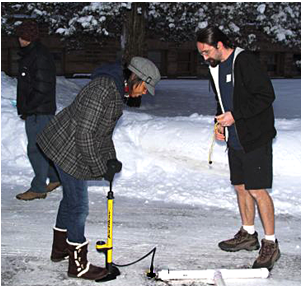 The 2011 Yerkes Winter institute will focus on things that float and fly: rockets and balloons. The students will attempt to find scaling relations in order estimate the answer to questions such as: How many helium balloons would it take to lift a Space Shuttle? How much pressure is required to launch a pressurized rocket into the Jet Stream? At what airspeed does drag become important for a rocket? The students will gain first-hand experience in the art/science of figuring out which assumptions are appropriate when making approximations. Instructors: Alissa Bans, Nicole Fields, Walter Glogowski, Sean Johnson, Christopher Kelso, Randy Landsberg, Amol Upadhye.